Working for Global Grassroots this last year has been an extraordinary experience – and one that has just been ‘kicked up a few notches.’ I am incredibly fortunate to now be in East Africa, getting to better know our dedicated local staff and visiting many of our women’s teams. 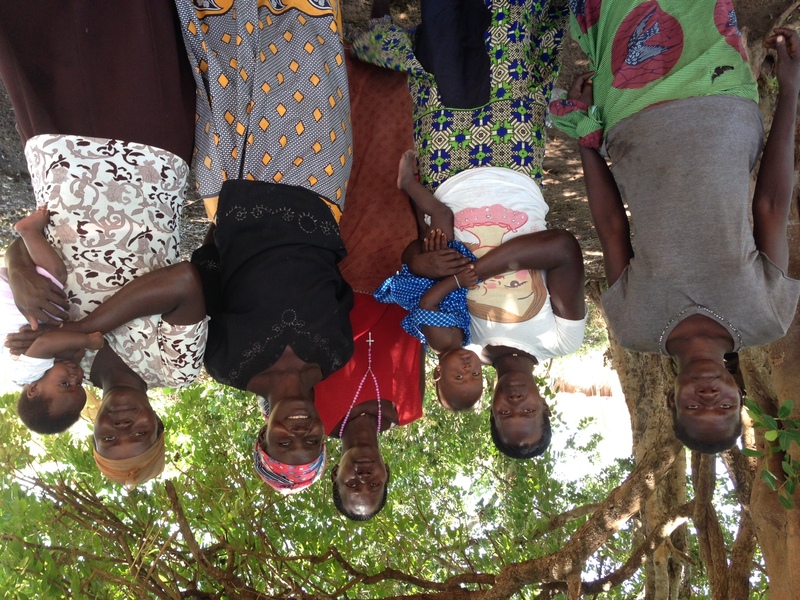 Most of these meetings with teams have taken place in iconic Africa settings, mats spread under large shade trees amidst thatched roof huts with mothers wearing skirts and head scarves of brightly patterned kitenge (fabric) and nursing their babies. 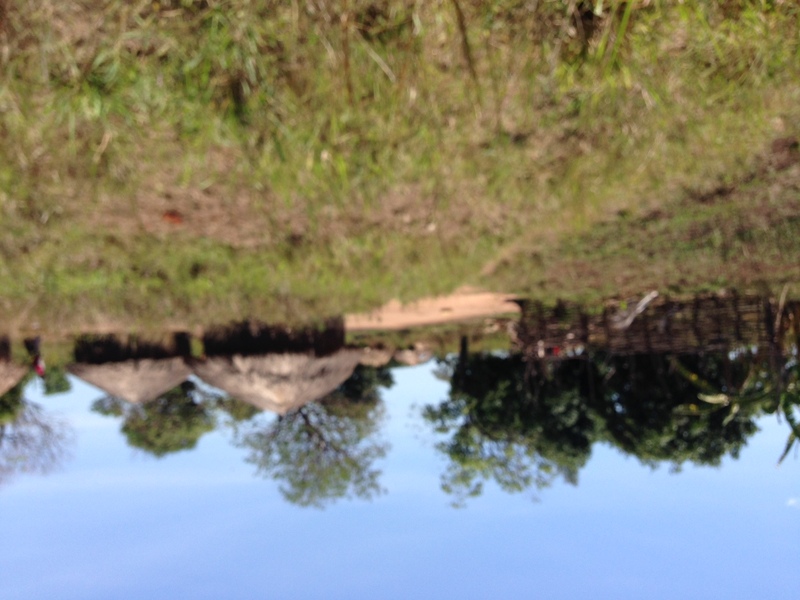 My colleague Francis Kumakech and I began my Gulu, Uganda visits with a group named Cing Ma Wabu (Initiators). It rained heavily for most of last night and, since the rainy season also means the planting season, everyone in the group was scattered throughout the area surrounding the village planting their crops. It took some time to retrieve some of the team from their fields so our 11.00am meeting got started just around 11.45 with five team members: Helen (Chair of Cing Ma Yabu), Katherine, Grace, Polline, and Pasca. Cing Ma Yabu works on helping couples strengthen their relationship in an effort to reduce the divorce rate. They use drama and role playing to educate couples about such issues as sharing household responsibilities, women’s rights, and conflict resolution. Not long ago, a woman came to the team looking for help. She said her husband was not sharing in the household tasks nor was he taking care of the things ‘a man is supposed to do.’ The wife had been asking her husband to construct a door to their home; they had been living with a blanket hanging over the opening for quite a long time. In addition, he was prone to spending their money on alcohol and there was not enough left to pay school fees, so their children were not attending school. Four team members went with the woman to her home to meet her husband, do some role playing, and mediate while the couple discussed their issues. The husband began to understand his part in managing the household and, after a few sessions with the group, there was real harmony in that home. The husband has since built a wooden door for their home and the children are back in school. The husband has been much less likely to go off drinking every day – a change that the group sees with men throughout the village since they began their work. In the last year, Cing Ma Yabu has worked successfully with 15 couples who otherwise were heading for divorce. When they first completed their training through Global Grassroots’ Academy for Conscious Change, there were 20 members. Their success in improving life throughout their village enticed others to join, particularly some of the men and women whose marriages they helped save. They now number 40 and have set that as a cap for membership. Helen, the team’s chair, acknowledges that a team larger than that will be too difficult to manage. Cing Ma Yabu faces two distinct challenges in their work. The first is transportation. There are few cars where they live which is approximately 20 kilometers outside Gulu along rutted unpaved roads and plenty of dirt track through the brush. Some of the couples seeking help live five or more kilometers away that the group must walk. 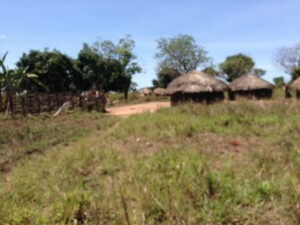 There are those who live further out in the sub-county that the group is unable to get to. The second challenge the team faces can be more dangerous: when they show up at a household to mediate, the husband can be “wild,” often because he is drunk. The team knows they must tread carefully, working very hard to calm him down. Grace commented that, when that happens, “it is not fun” and sometimes all they can do is return when he is sober and able to listen and learn. Cing Ma Yabu sustains their project by cultivating gardens for those who are either physically unable to do so or have jobs that take them away from home each day. They have managed their funds well and now have a savings account through a nationwide savings and loan association. Through this account, members can both save money and borrow funds should a need arise. Helen remarked that, in addition to seeing the impact their work is having on their community, the savings scheme is a great benefit that helps keep the team together. 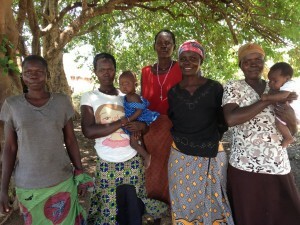 A group of grassroots women with little to no education have built a strong, committed team that is bringing domestic harmony to their community, reducing the divorce rate, increasing the number of children who attend school, and improving the economic status of its members. To say I left their village both inspired and humbled is an understatement. This entry was posted on Monday, April 25, 2016 at 9:10 am	and is filed under Uganda. You can follow any responses to this entry through the RSS 2.0 feed.